From the opening lines of the novel, we learn of the protagonist’s fascination with magic, and as the Amazing Arden weaves ‘a web of beautiful illusion’ on stage, Macallister weaves slithers of doubt into the reader’s conscience, the strands of suspicion that keep both eyes drawn to the page for the remainder of Arden’s tale. The year is 1905, and injured policeman, Holt, captures the Amazing Arden and takes it upon himself to question the magician, who is suspected of murdering her husband, in an attempt to get himself back on the police force. It is during this questioning that Arden begins to tell her story, right from the very beginnings of her childhood. Elements of Arden’s storytelling certainly emulate the fairy tale genre both stylistically and thematically, but her narrative is also rooted in the real and gritty aspects of life. As Arden recounts her past, the reader is as captivated as Holt by her adept storytelling. 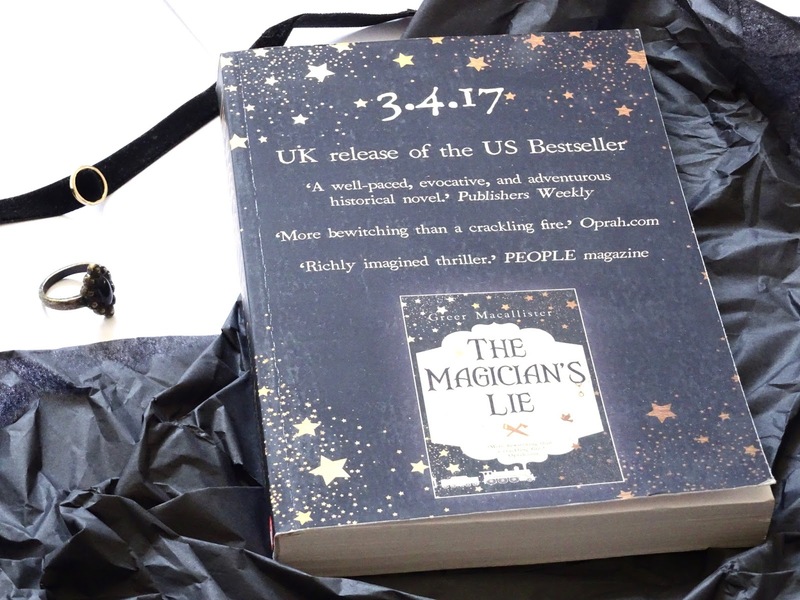 Where The Magician’s Lie defies any fairy tale presumptions is through its continually surprising turn of events; as Arden takes us from her childhood past to her days as a renowned magician, Macallister assumes her position as illusionist writer, revealing her tricks with expert timing. The framed narrative, however, keeps the story grounded, diverting the reader's attention from the illusion and ensuring they always want more. It also gives space to doubt Arden and her tale, empowering the reader to be in control of how much of themselves to give over to Arden’s narrative. But her story is so irresistibly charming and irrevocably consuming, it is surely a challenge for anyone not to plunge in, imagination first.